Most applications will be uploaded by Travis and Drone. 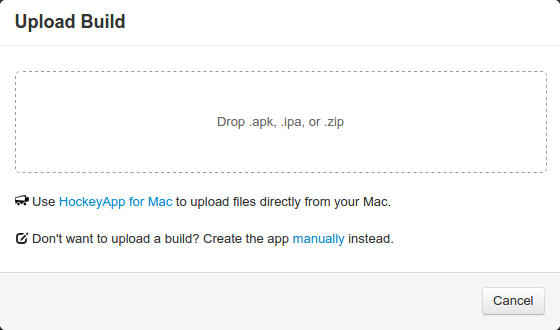 In this case click the setup manually link. 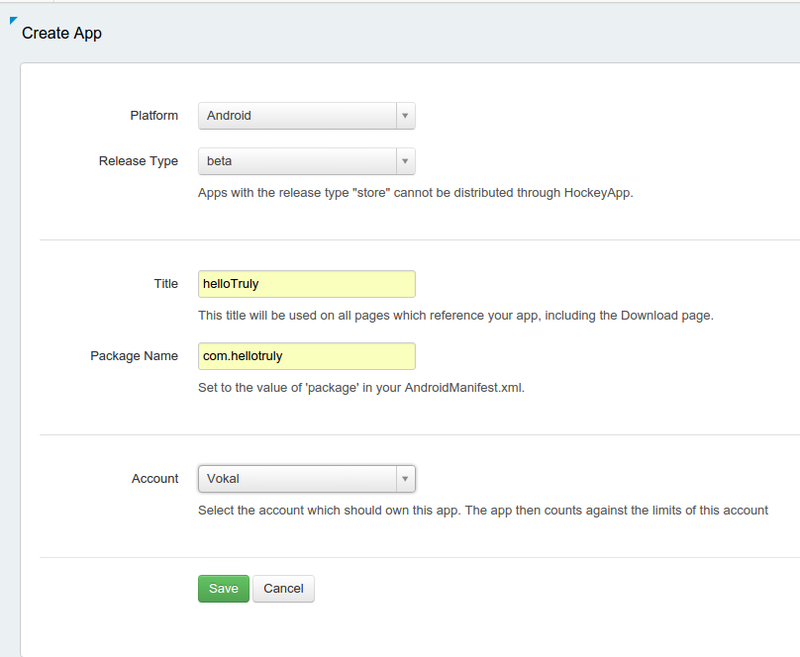 Bundle Identifier (iOS) or Package Name (Android). Used to determine the application being uploaded. All Vokal employees should be added to the Vokal team. This team is granted access to all of our apps. This simplifies HockeyApp management, since we don't have to create and manage an internal team for each client project. Owners get elevated permissions in HockeyApp. All senior developers and directors should have owner-level access, so that they can create new apps as necessary and add new people to project teams. There are a couple places that owners appear in Hockey, which can be misleading. 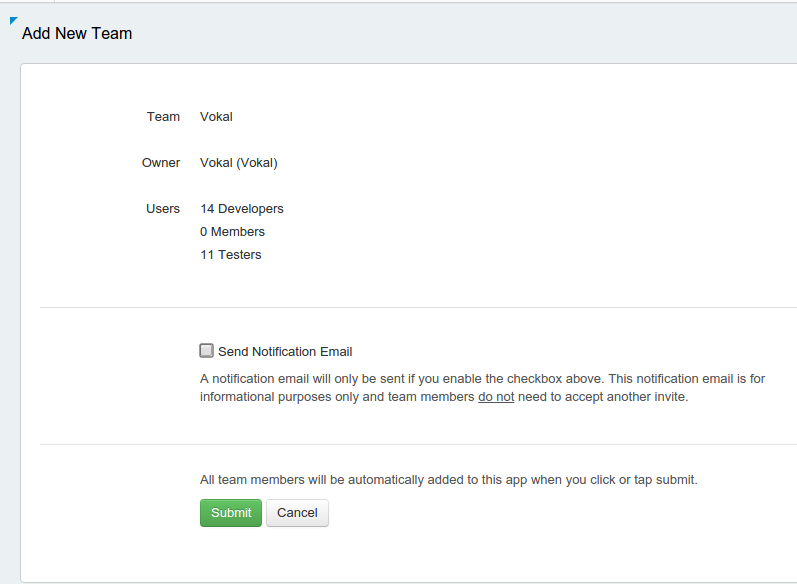 The Vokal Owners team appears in the Teams tab and lists the owners, but you need to go into the organization managemenet to grant full access to users. Visit the Owners tabs in the organization settings to add new owners or edit existing ones. All owners should have Add to all apps automatically and Give access to all teams checked. Otherwise, they will only see the teams and apps to which they are added individually (or through team membership), which means they cannot add new people to project teams they aren't already a part of.